The 17-acre Greensboro Arboretum contains 14 different plant collections, distinct architectural features, and many gardens. The extensive assortment of plants provides excellent opportunities for education for landscape designers, homeowners, adults, and children. The arboretum is open to the public all year round and there is no cost for admission. 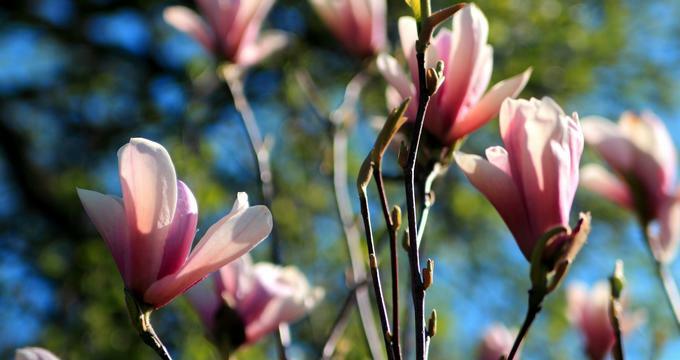 The Greensboro Arboretum started in the late 1970s as a joint project of the Greensboro Parks and Recreation Department and Greensboro Beautiful, offering an excellent plant collection for the community to study and enjoy. The City of Greensboro provided the 17 acres in Lindley Park for the creation of the garden. Plant species that were chosen for the arboretum were especially hardy to North Carolina's Piedmont Region. Construction of the Greensboro Arboretum began in 1986 and was finished in 1991. It was officially opened in the same year, and has since become a regional treasure as a learning laboratory, a unique place for a serene stroll, and a living gallery of beauty. There are many different display gardens found throughout the grounds at the Greensboro Arboretum, some of which bloom during different parts of the year. The Beeson Rhododendron Garden showcases several varieties of rhododendrons, which bloom from early May until late June, while the Perennial Border offers stunning scenery around the Landmark Arbor during spring, summer, and autumn. Dozens of different types of hostas can be seen in the Green Hill Farm Hosta Garden, and an array of hollies are on display in the James W. Newlin Memorial Holly Garden. Plants that are suitable for cutting gardens are displayed in the Pattie S. Newlin Memorial Bouquet Garden. The Kaplan Family Rose Garden and Arbor showcases an assortment of climbing roses that grow on an arbor. Constructed in the shape of two butterflies, the R.R. Allen Family Butterfly Garden and Fountain has an abundance of colorful plants that attract butterflies. The design of the garden is particularly beautiful when see from the Overlook. In addition to the display gardens, the Greensboro Arboretum also includes the Woodland Trail, which is a nature trail that winds its way through a second growth forest. There are also several architectural features are display at the Greensboro Arboretum. The Blanche S. Benjamin Overlook offers a stunning panoramic view of the grounds, while colorful flowers and butterflies are incorporated into the design of the Elena Marzulla Bridge. A trio of 23 feet tall wind chimes make up the stunning Dr. Lawrence and Alma Louise Hart Chimes. There is also the Tanger Family Wedding Gazebo, which plays host to special events, small musical ensembles and, of course, weddings. Among the 14 collections of plant species, the Greensboro Arboretum includes the Irene H. McIver Vine Collection, an array of climbing plants that have been trained to grow on the Landmark Arbor. This collection was named after the woman responsible for the original design of the arboretum. There is also the Gate City Kiwanis Club Shade Garden Collection, which includes plants that grow in different degrees of shade, and the Conifer Collection of cone-bearing plants. These are just a few of the many different plant collections found at the arboretum.